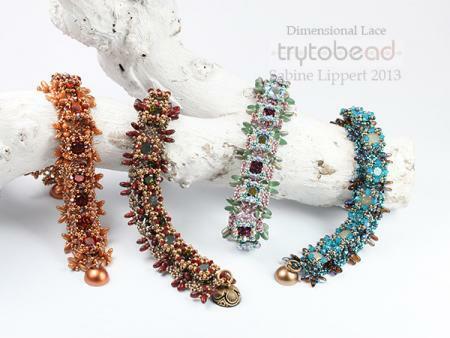 Dimensional Lace is a bracelet with bezeled chatons based on a beaded lace. It is flexibel and can be made in one or more rows. 13 pages with many pictures and drawings. 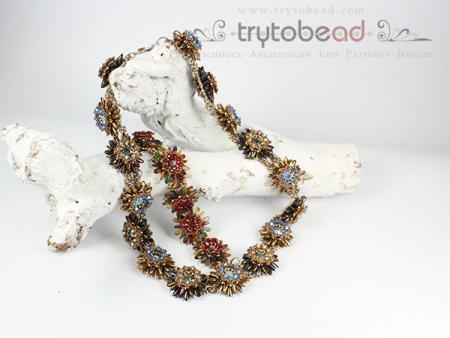 The new edition of Thistle (original was published 2009) makes the blossoms even more spikey. 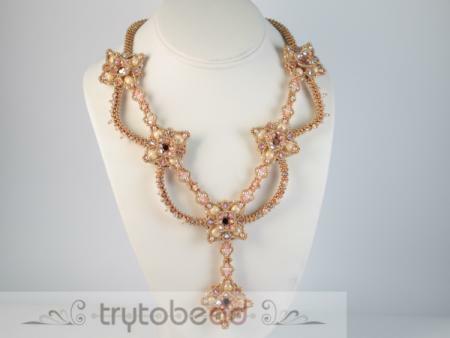 The use of O beads gives the design a more playful character. 16 pages with many drawings and pictures. 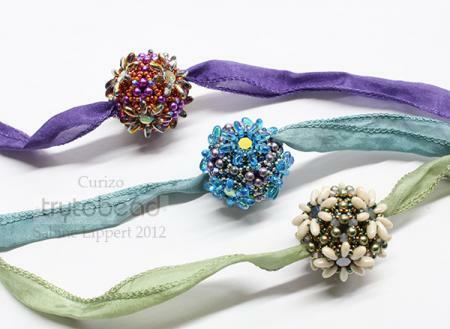 A beautiful bracelet, that can easily be modified into a necklace. 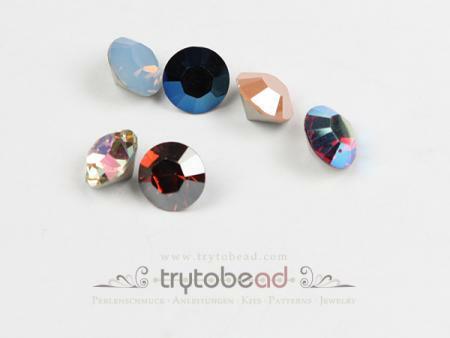 Both variations are explained in the instructions. 14 pages with many pictures and drawings. The sequel of Handle with care. 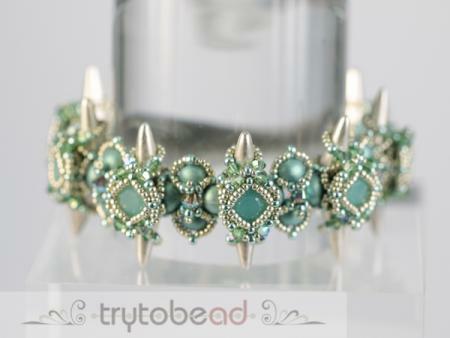 Due to the attached chatons, the spikes are not so dominant in the design, which make the bracelet much more elegant. 15 pages with many drawings and images.